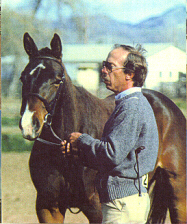 Jessie and Bill Avery are the owners of Avery Ranch, a breeding, training and teaching barn in Lafayette, CO. Jessie and Bill, have been standing stallions, training the babies, racing and showing select prospects and teaching a select number of students for 30 years. Champions in Hunter/Jumper, Dressage and Eventing have been produced and sold by Avery Ranch and now live and compete from Hawaii to Maryland. Students have ranged from an a Pony Clubber from Washington State to 2nd level Dressage competitors to beginners desiring basics. 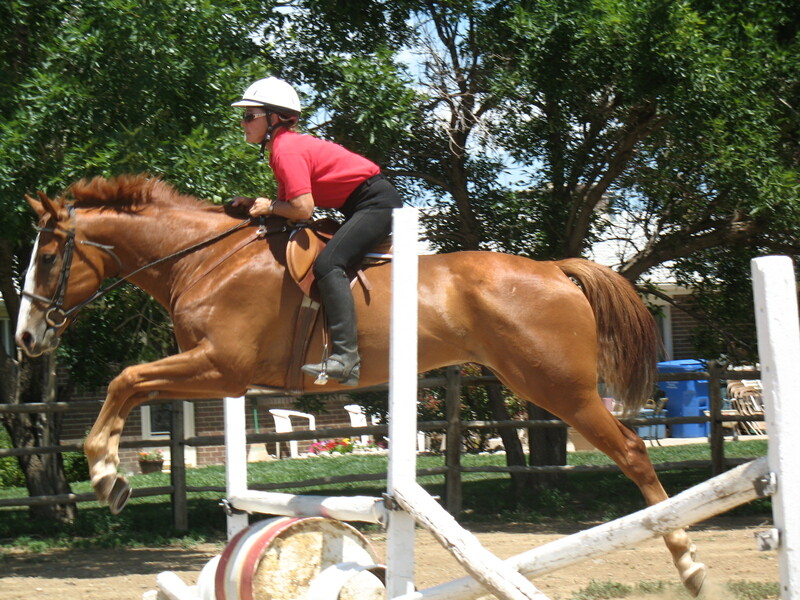 Jessie started teaching over 30 years ago in a riding camp in New York State. She has taught clinics, pony club eventers, group lessons and private students consistently since then. At Avery Ranch she developed a curriculum to help students identify their goals in the horse industry and their process of learning. Schooling shows, summer camps and ongoing continuing education are all part of the Avery Ranch experience. Several graduates of Avery Ranch’s program have been champions in Dressage, Hunter/Jumper and Eventing. Philosophically, Jessie believes in developing the student’s appreciation for the generosity and versatility of the horse. With a lifetime in horses, Jessie began taking horses in for training when she was seventeen. She produced the CCC Eventing Training Level Champion in 1981 from a raw race track recruit. She hunted with the Arapahoe Hunt for 3 years. She has served a President of the CCC Chapter of the USEA and still competes heavily today. Training and retraining horses has long been Jessie’s passion. She has brought the babies born at Avery Ranch along from foals to Champions. From 1994 to 1997 she won the BVDCTA Training Level Championship on four different horses and two years later won the 1st Level Championship on one of the same babies. 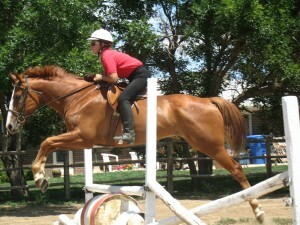 The learning process, whether horse or rider, has always been fascinating to Jessie. The development of a well-rounded, knowledgeable horseman and a sane, sound and happy horse have consistently been the goals of all of Jessie’s programs through the years. Bill is a horseman that has been in the industry raising, showing and racing Quarter Horses and Thoroughbreds for over 30 years. From 1970 to 1980, Bill taught a Horse Care and Management Class with Jefferson County Continuing Education. He has raised, trained and been the stallion manager for two superior breeding stallions here at Avery Ranch. He has developed a complete starting program for young horses that has been proven with hundreds of babies. Many of these youngsters have become successful racehorses and champions in Dressage, Hunter/Jumper and Eventing. He is a licensed race trainer and manages all the horses that go to the track from Avery Ranch. If you ever have a horse care question, ask Bill, he’ll know!